With all of the information that students and parents need to remember, it can get a bit overwhelming at times. The goal of this page is to provide a hub for finding information relevant to the PHS student. If you have a suggestion for a link to add to this page, please use the contact form to let us know! Tools for the classroom Teachers and students utilize a variety of tools and learning softwares in the classroom. These are some of the ones most commonly used by those at Penn. HAC (Home Access Center)– The best way to stay up to date with your grades. Lists all assignments, your score, the due date, and more. Report cards are run directly from HAC at the end of the semester, so it will almost always be an accurate reflection of your grade. Canvas– Created by instructure, this learning management platform is a hub of information for many classes. How much and for what purpose Canvas is used will depend on your teacher, but most teachers use it in one way or another. Google Classroom– Many teachers elect to use google classroom instead of or in addition to Canvas. It isn’t as full-featured as Canvas but can integrate with Google Docs seamlessly. Quizlet– A favorite of english and world languages teachers, Quizlet is great for memorizing any sort of vocabulary. With flashcards and all sorts of vocabulary-learning games, Quizlet can be customized with any vocab words you like. Quizlet Live is a full-class game where students work in teams to remember the definitions or words as quickly as possible. Kahoot– A group game where students read the question on a projector screen, then answer on their chromebook, desktop, or mobile device. Great for test review. Desmos– A powerful online graphing calculator, great for students in Pre-Calculus and higher math classes. Desmos may also be helpful to students in earlier courses for checking answers. Scheduling/course planning tools Scheduling is always a hectic time for parents, counselors, and students. Here are some tools that can make the process easier. HAC (Home Access Center)– You must enter your course selections into HAC before the scheduling deadline (which changes each year, but is usually before winter break). Diploma Requirements– A list of requirements for each of the different diplomas, as defined by the Indiana government. A “credit” as described on this sheet is earned by getting a passing grade in a course for one semester. Thus, if you pass a class both semesters, you will have earned two credits for that course. Course Descriptions– A list of available courses and their requirements, along with a description of the content to be covered in each course. Always confirm your course selections with the Guidance department to make sure you have the most recent information. Tools for new students Entering a new school can be a daunting task, but PNN has assembled some resources here to make your transition easier. 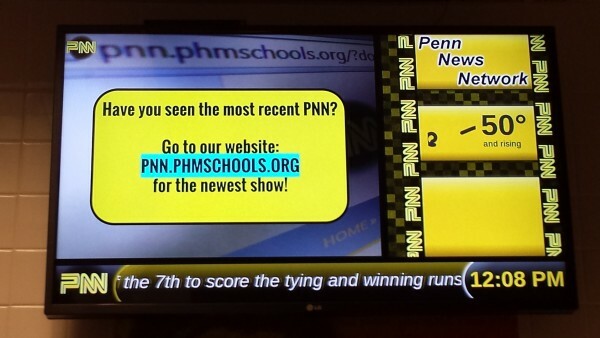 The PHS website– The Penn website is a great place to get general information about the school, and will always list if there is a snow day or two hour delay. School Map– Penn can seem a bit difficult to navigate at first. Until you get used to it, here is the school map to help you find your way around. Code of Conduct– Here is the 2016-2017 Code of Conduct. Students will receive a copy of this code of conduct at the beginning of the year in the “Welcome back to school” packet. Students and their parents/guardians must both agree to the code of conduct and return it to school. School-Wide Calendar– A very high-level overview of large events happening in the school corporation. TandemCal– This is a list of EVERY event happening at Penn. It’s the master list, so if it’s not on here, chances are it’s not happening. It can be a bit hard to navigate due to all of the events, but can be helpful in a pinch. Information for all students Here is some general information that any student might find themself needing throughout the school year. 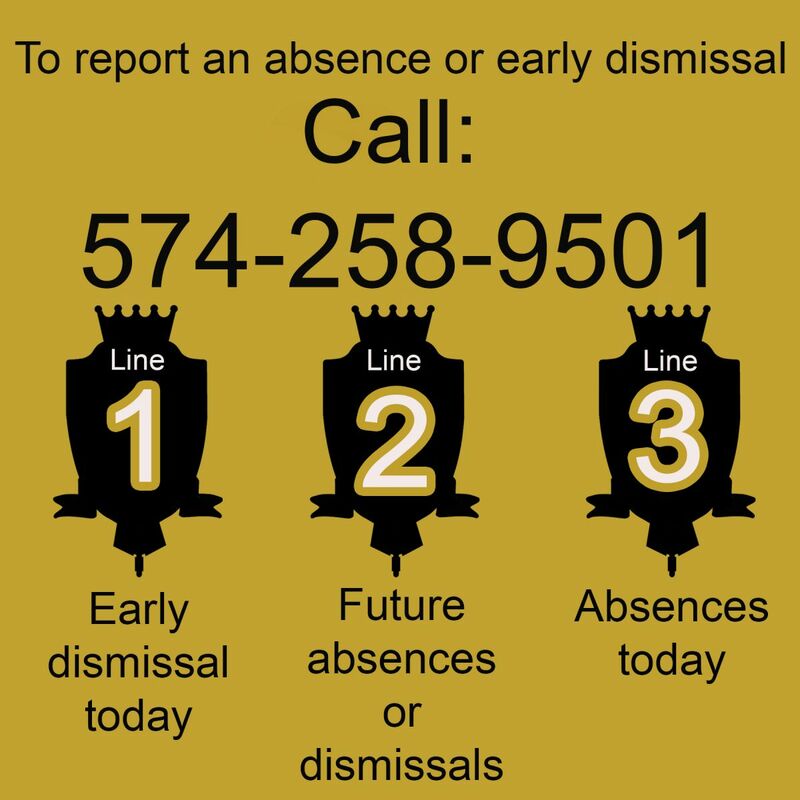 Attendance- Going to be absent, leaving early, or coming late? 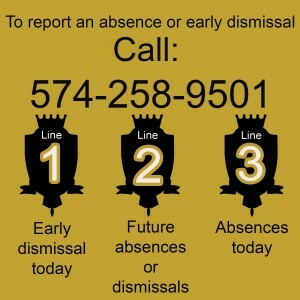 Have your parent call (574) 258-9501 and use the appropriate “line” as shown below. Counselor contact information- Don’t remember who your counselor is? Here’s a list by last name and grade level.